We (The Warehouse) are currently in the middle of a strategic planning process. So far it has been a really incredible time of intentionally remembering the paths that we have walked as an organisation, reflecting on where we are in this moment, and collectively listening to where God is calling us to. Something that was said within one of these times together has stuck with me. The facilitator said that the strategic plan that we will have formulated by the end of the process will not be set in stone. We will have to revisit it, and it will continue to be shaped, even as we ourselves are shaped. I think it is fitting that we as an organisation are embodying this state of ‘constantly becoming’, not simply in this time of strategic planning, but in general, because this is what we invite those that we journey with into. 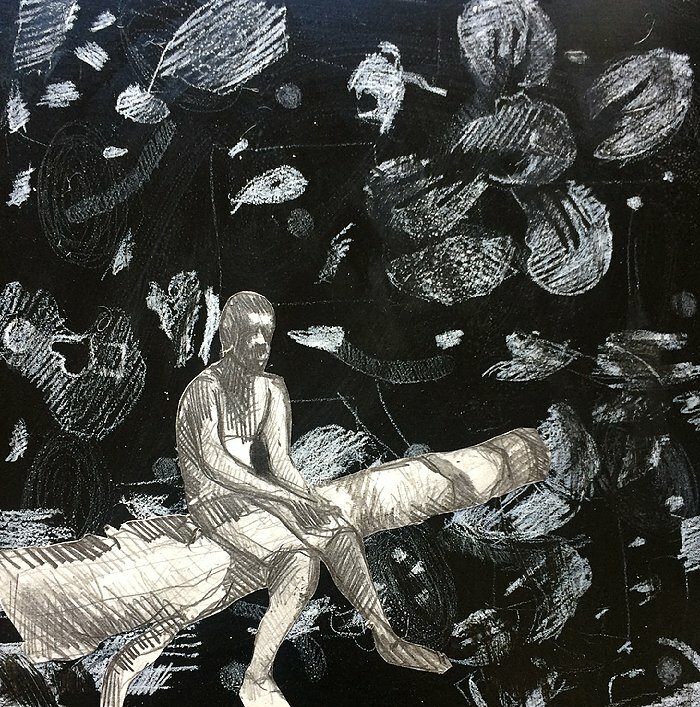 The very work that we do is a recognition of the human condition to be constantly in flux. As individuals, but also as a society. Always moving, but never reaching an end point. In a constant state of change. I think it is (at least partly) our awareness of our own journeys (individual and collective) that has given us this unshakeable belief that change is possible. When I think of my story, the way that I see the world now as compared to ten years ago, is vastly different. Even the God that I believe in is different. The God that I follow today is far bigger, far more complex, kinder and more loving, than the God I followed in the past. We have immense capacity for growth, learning and change. The way Jesus lived when he was on earth was evidence of his belief in this capacity. 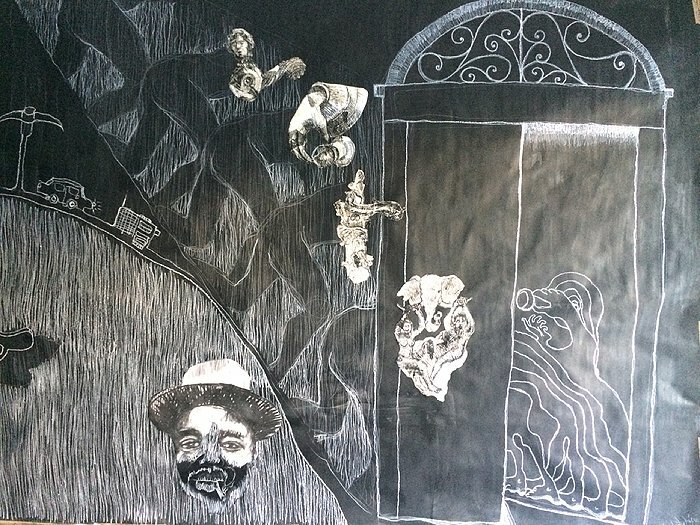 He never forced change but always made space for it, with his winding tales of mustard seeds and widows and fields containing buried treasure, and his constant questions and challenges, which were really just invitations into greater levels of freedom, love and community. I think this recognition of the fact that we are all on a journey needs to lead us to having more grace, for each other and ourselves. Jesus met people where they were at and interacted with them in a way they could relate to. I think it also needs to lead us into a place of openness, both to learning from the experience and wisdom of others, and to sharing our own experience and wisdom. We are all in different places and we need each other. I think we also need to get comfortable with the journey and recognise that it is a lifelong one. But also to understand that our impact is not dependent upon us having arrived. Our work in the world begins where we are right now, and what this work looks like and the ways in which we do it, will shift as our outlooks shift. I think these are important lessons that we need to learn in this time. We are all on journeys of learning and unlearning, journeys often sped up within our current context. We are all in different stages of process, but we all (without exception) have a long way to go. We need to have grace for ourselves and where we are, and for others and where they are. This is not to say that we can get too comfortable. I think now more than ever, the world needs us to press on, giving ourselves fully to this process of learning and unlearning, of constantly becoming. But let us do so in a way which leads us deeper into kindness, compassion and love, whatever this may look like. For we are all becoming. Simultaneously saved and being saved. Blessings to you in the journey that you are on. Would you consider partnering with us to raise R32 000 in three days? 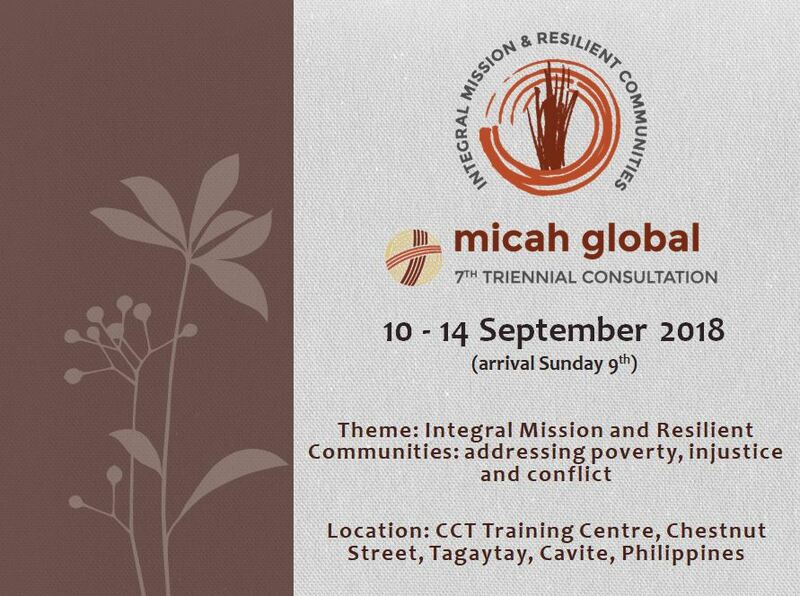 The Micah Global Triennial Consultation is coming up in less than two weeks. 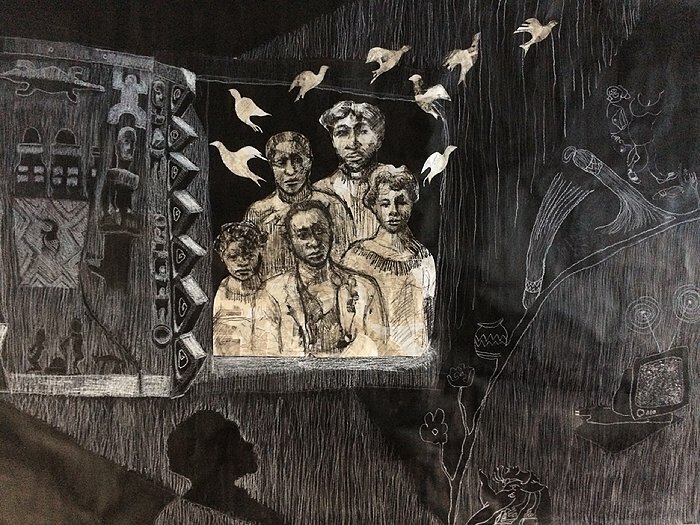 We feel that our presence there is really important for the co-learning and sharing that is integral to our organisation and the work that we do – especially in our nurturing of young leaders and the work we do around continuous trauma and resilience. Would you consider contributing financially towards this? Any amount helps! This time last week, we needed R80 000+ . 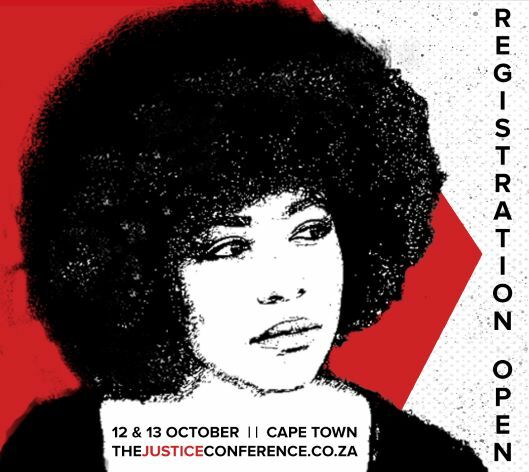 Now our air tickets from Johannesburg to the Philippines have been fully covered and we are hoping to raise the funds for flights to and from Johannesburg, as well as the conference costs – R32 000 altogether. We are committed to bringing what we gain from the conference into our local context and will keep you posted on our plans to do this. 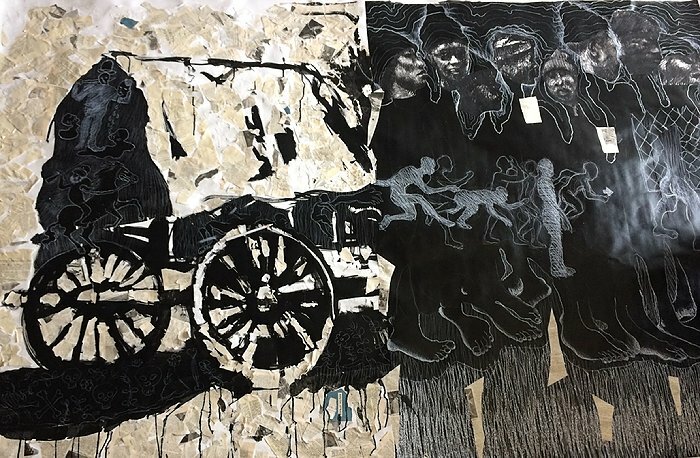 Papers that have been submitted to the conference are in the process of being uploaded to the link below, amongst which are those from Colleen Saunders and Thandi Gamedze, so watch the space! Blessings and many thanks for your partnership with us. We value your support and prayer. 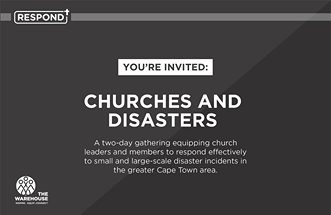 This month Respond held a two day gathering which aimed to equip churches in their response to disasters and emergencies. This coincided with the release of our latest resource, the Respond Manual. For more information or to get your copy, email publications@warehouse.org.za. 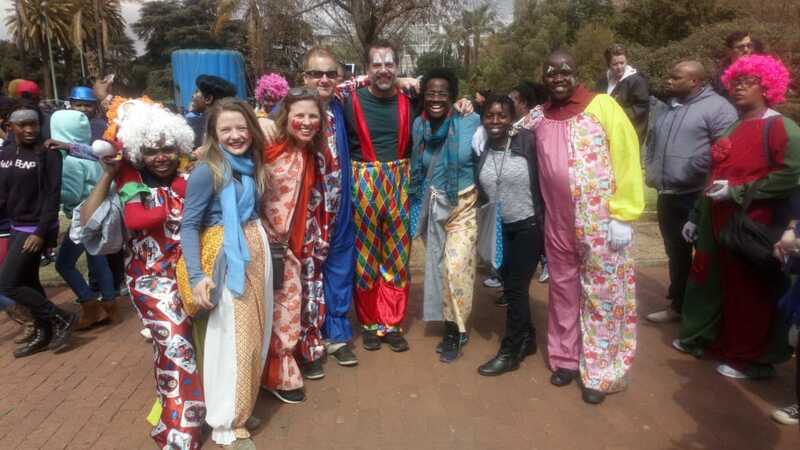 A few of our staff were involved in the 12th Biennial Consultation on Urban Ministry in Gauteng, through presenting papers, participating in shared learning spaces, and joining the annual march of the clowns, which seeks to bring disruption to, and raise awareness of, systems of oppression in unexpected ways. René August is piloting the Faith and Life curriculum with a group from City Bowl church. 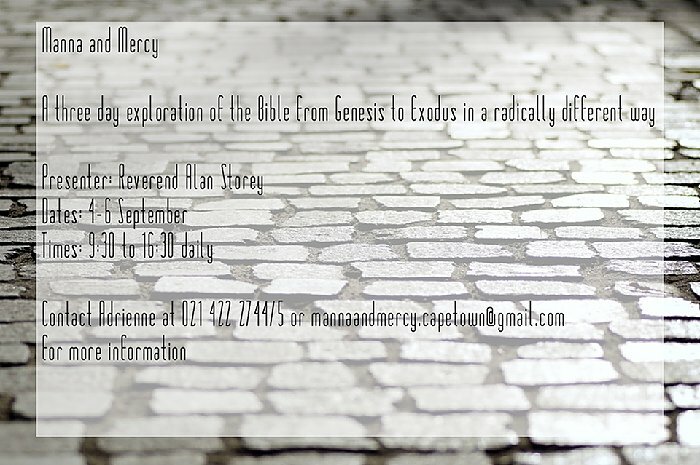 Faith and Life seeks to facilitate exploration of the church and the kingdom in the light of history, scripture and current context. 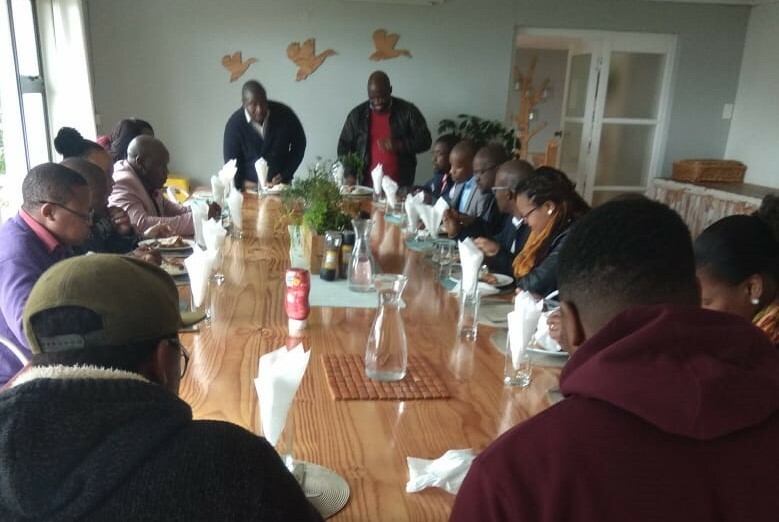 We kicked off our Sustainable Church Leadership initiative with a pastors’ retreat in Noordhoek. 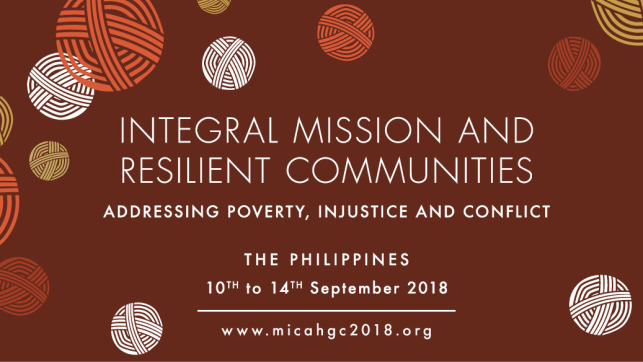 This initiative seeks to see church leaders in low-income areas sustainable and flourishing in every aspect of life, so that they can carry on the work of transformation in their communities. We are so grateful for your generous donations that make this work possible. 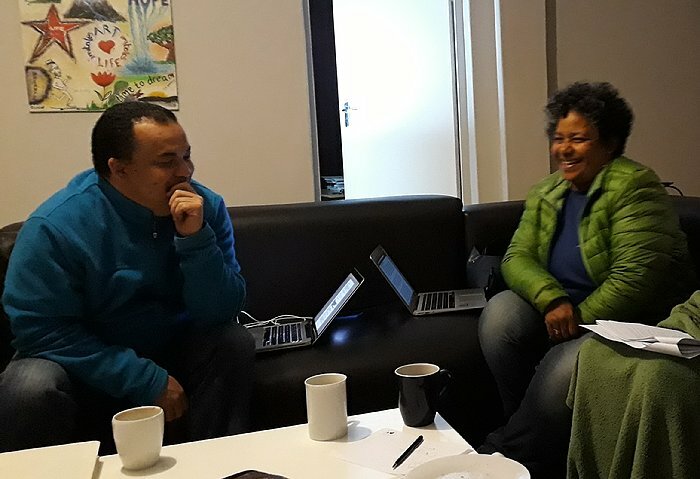 Through them, people who have been though trauma and loss have been able to experience freedom and healing, people affected by disasters have been able to receive assistance in their most vulnerable times, and churches and individuals continue to be equipped and supported in carrying out the work of justice in Cape Town and beyond. To find out how to financially support the work we are doing, click on the link below. 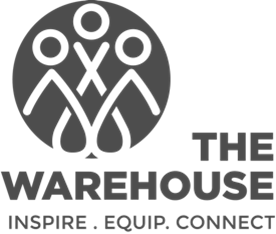 ﻿Did you know that The Warehouse can get a cash donation every time you shop if we are your beneficiary? Get a My School card at your nearest Woolworths store, put ‘The Warehouse Trust’ as your beneficiary, and a percentage of all your purchases from Woolworths, Engen and a couple of other shops, will support our work. 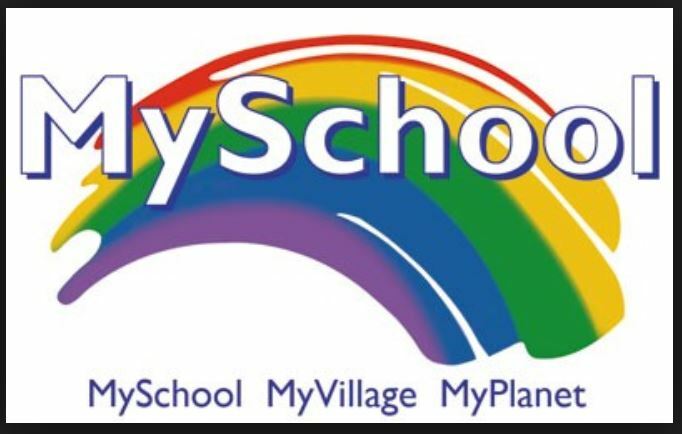 Visit the My School site here. Did you know that you can use Snapscan to give easily to the work of The Warehouse? 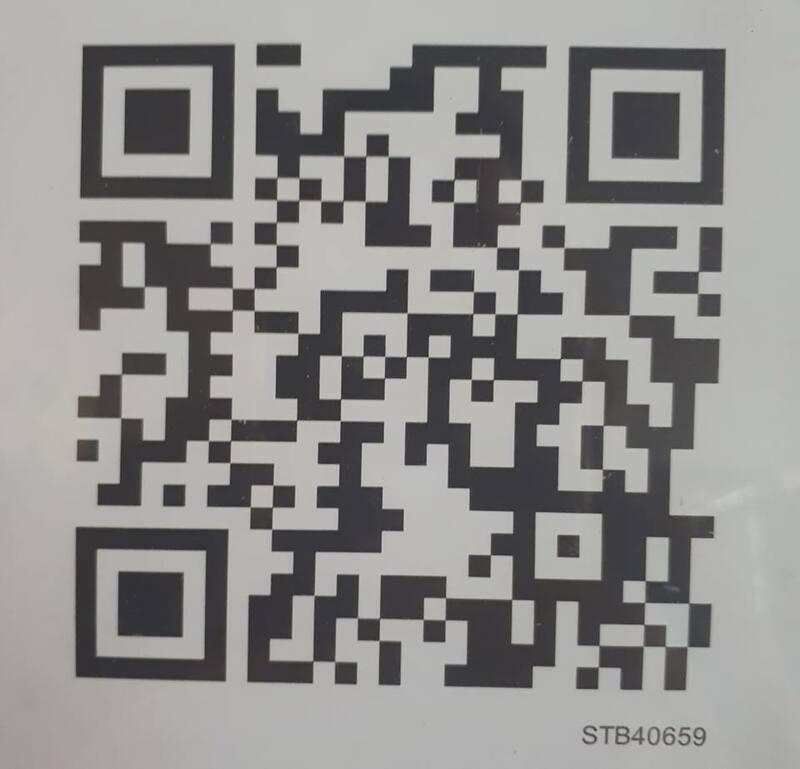 Simply download the app and set it up, scan this image and it will come directly into our account. If you would like to donate in another way, please email Winston or visit our website below.